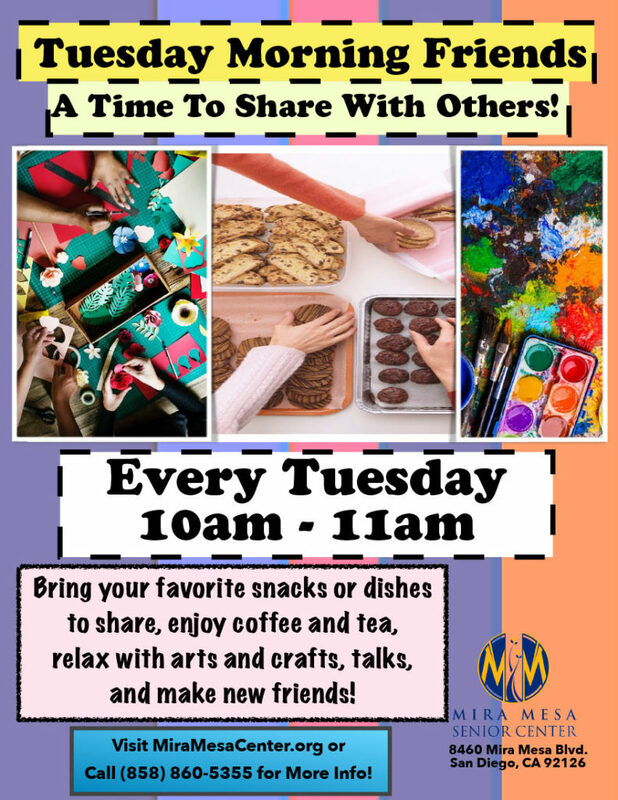 Tuesday Morning Friends – A Time to Share with Others! Visit MiraMesaCenter.org or Call (858) 860-5355 for More Info! Bring your favorite snacks or dishes to share, enjoy coffee and tea, relax with arts and crafts, talks, and make new friends!